Be the first to share your favorite memory, photo or story of Lawrence . This memorial page is dedicated for family, friends and future generations to celebrate the life of their loved one. Beloved husband of 55 years to Mary (nee Ryan). Dear father of Daniel Fitzgerald, Therese (Dan) Armstrong, Larry (Debbie) Fitzgerald, Maureen (Mac) McWilliams, and Kevin (Aileen) Fitzgerald. Proud Papa of Jacob, John, Kyle, Joe, Ryan, Emily, Jack, Michael, Grace, Patrick, Lilly, and Timmy. Cherished son of the late William and Catherine Fitzgerald. Loving brother of the late William (Gladys) Fitzgerald, Robert Fitzgerald, Jack Fitzgerald, and Mary Therese (Jerry) Ivack. 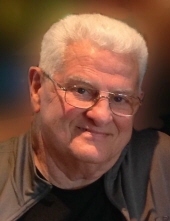 Visitation Tuesday 3:00 to 9:00 p.m.
Funeral Wednesday 8:45 a.m. at the Robert J. Sheehy & Sons Funeral Home, 9000 W. 151st Street, Orland Park, IL, to St. Stephen Deacon & Martyr Church, 17500 84th Avenue, Tinley Park, IL, Mass 9:30 a.m. In lieu of flowers, donations to Hope Reborn Comunitá Cenacolo America, 9485 Regency Square, Ste. 110 Jacksonville, Florida, 32225-8194 would be greatly appreciated. "Email Address" would like to share the life celebration of Lawrence J. Fitzgerald. Click on the "link" to go to share a favorite memory or leave a condolence message for the family.